Preparing an all-natural olive oil and honey hair mask at home is extremely easy. It gifts you soft, smooth, voluminous and lustrous locks without eating much of your time. Start with mixing all the ingredients nicely. For this, you have to pour olive oil and honey into the bowl. Stir them together with the spoon. 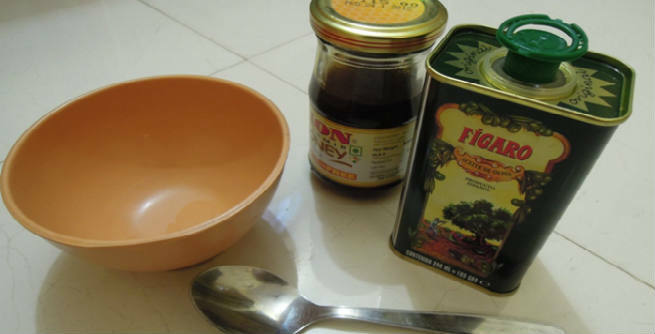 Open the vitamin E capsules one by one and add the contents to the mixture of the bowl. Stir the entire thing once again with the help of the spoon. This time, you need to be as thorough as possible in order to prepare a smooth mixture of medium consistency. Take the plastic wrap (press-and-seal) and lay it beneath your locks. It will help you avoid any kind of mess during the application of the mask. Now, take the brush and dip it into the bowl. Run it through your hair very carefully so that it gets covered by the mask completely. However, try to avoid the roots of the hair while applying it. Rather, be generous towards the ends. Once you are done with the application and your locks are completely saturated, just make a bun of it and wrap the plastic wrap around the bun. Put the clip on so that the whole thing remains at its place. If you are using a shower cap instead of the plastic wrap, just wear it over your mask-covered hair. Wait for half an hour so that all the goodness of the mask goes deep into the hair. Then, rinse it out with lukewarm water. 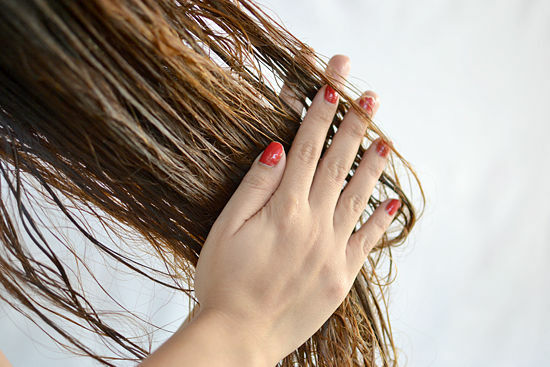 After that, wash your hair and scalp properly by using a mild shampoo. Finally, apply a good conditioner to lock in the moisture. If you have super dry hair, consider adding two whole eggs to the mixture for deep conditioning. As you can see, it is an oil-based mask. Hence, you might find it a bit tough to mix the whole thing smoothly, which is absolutely normal. The application of the mask might make your hair feel sticky at first. It is due to the presence of honey and will go away easily as soon as the hair will be washed. Using this mask at least once every week can give you strong, healthy and dazzling hair easily.